With the Monaco Yacht Show about to get underway some of the world’s largest and coolest superyachts have been spotted making their way to Port Hercules. 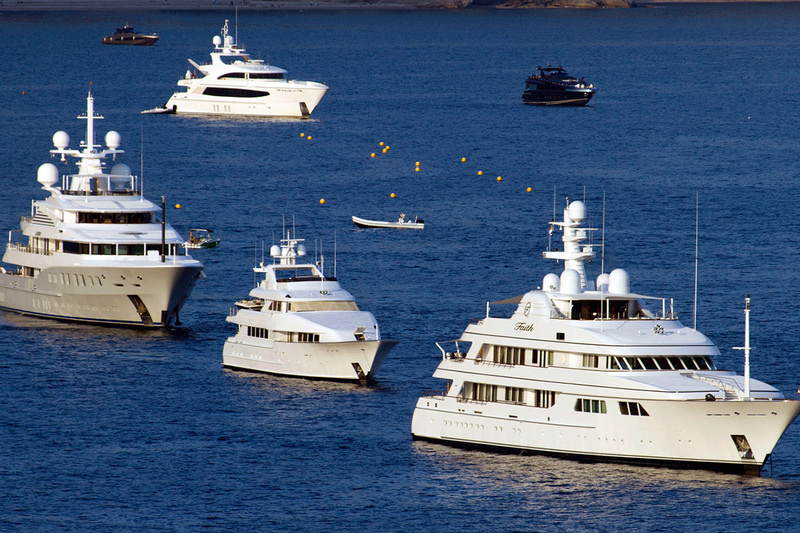 More than 125 superyachts will be officially on display at the show and here are some of the best that have been spotted en route and already docked in Port Hercules. One of the world’s largest explorer yachts, the vast 107.4 metre Ulysses, was pictured here taking up her position anchored out of Port Hecules. 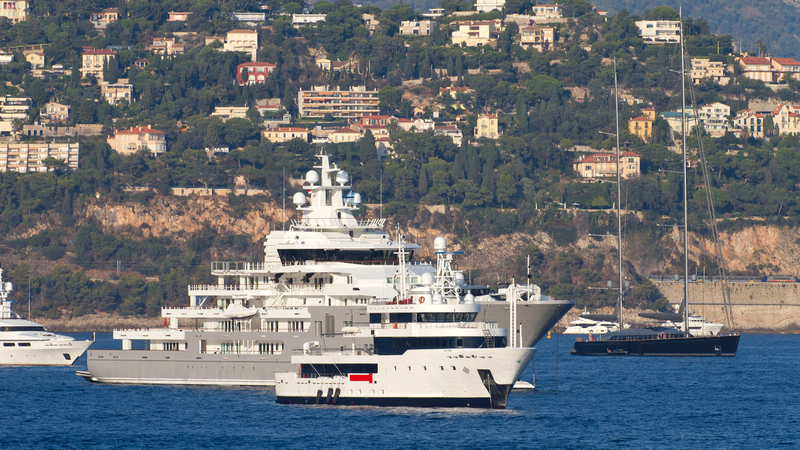 Delivered last year Ulysses absolutely dwarfs 50.5 metre Tribu (pictured in front). Ulysses is currently listed for sale with Fraser Yachts. Her price is POA but it is thought she is one of the most expensive superyachts for sale right now. 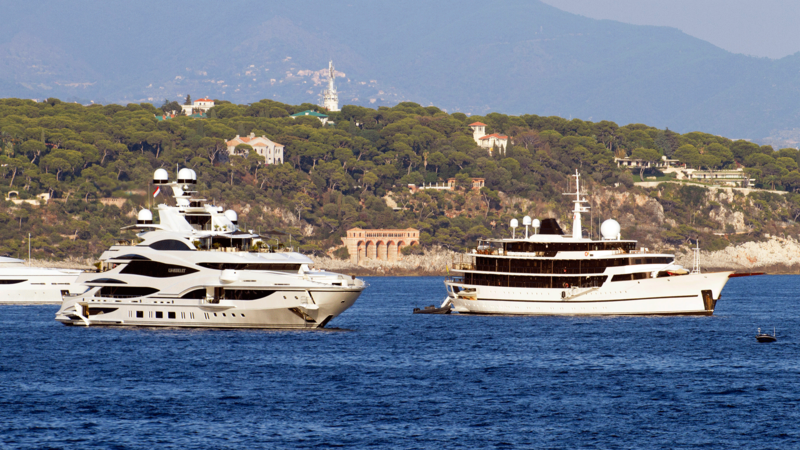 The 72.5 metre Axioma (pictured back) and 62.33 metre Faith (pictured front) have been spotted making their way towards Monaco. Delivered in 2013 Axioma is a firm favourite for celebrities to charter with Kendall Jenner, Gigi and Bella Hadid all pictured holidaying on board last year. Axioma now listed for sale with Yachting Partners International and is asking €68,000,000. FeadshipFaith, previously known as Fortunato, is also a popular charter yacht and is believed to have also had numerous celebrity guests on board. Perfectly demonstrating how superyacht design has developed, 86 metre Chakra and 90 metre Benetti flagship Lionheart are picture here together. Classic superyachtChakra was delivered by Van Der Werf in 1963, although various major refits have ensured she is packed with the latest modern amenities. Lionheart was only delivered to her owner earlier this year and is considered to be one of the coolest new superyachts from 2016. 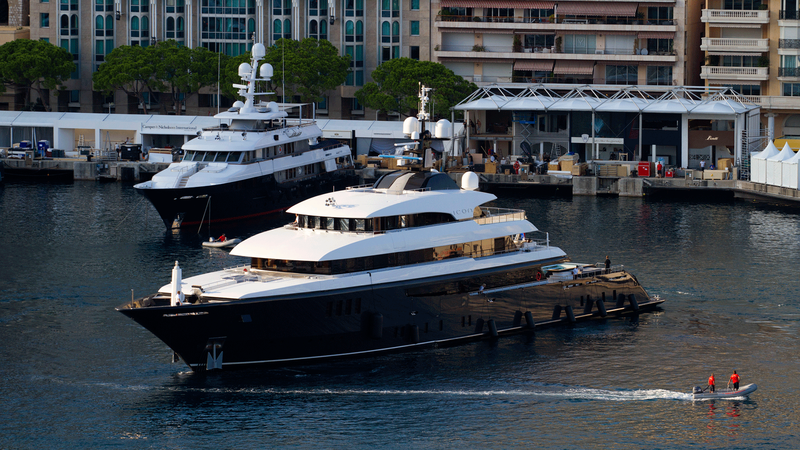 With her sleek dark blue hull Icon stood out as she arrived in Port Hercules for the Monaco Yacht Show. The 67.5 metre Icon is currently listed for sale with Camper & Nicholsons asking €56,500,000 — making her one of the best yachts for sale at the show. 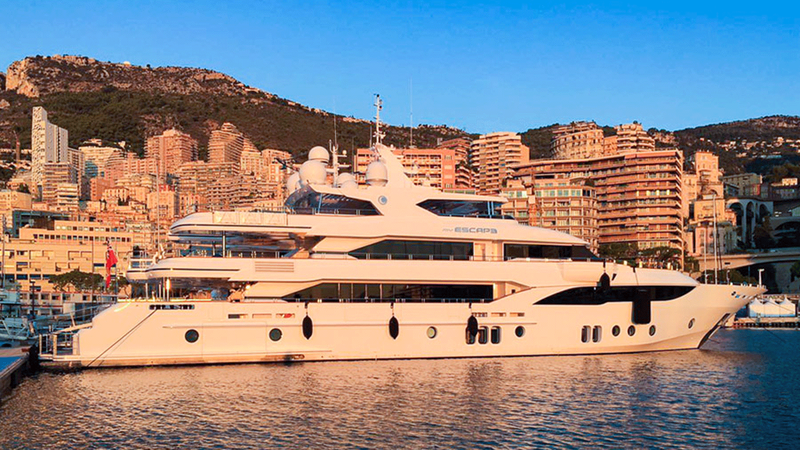 Delivered in 2010 Icon famously underwent a large refit in 2014 which saw her extended by five metres and a stunning pool added. The Majesty 155, which is the largest superyacht ever to have been built in the UAE, was pictured in Monaco on Monday (September 26). 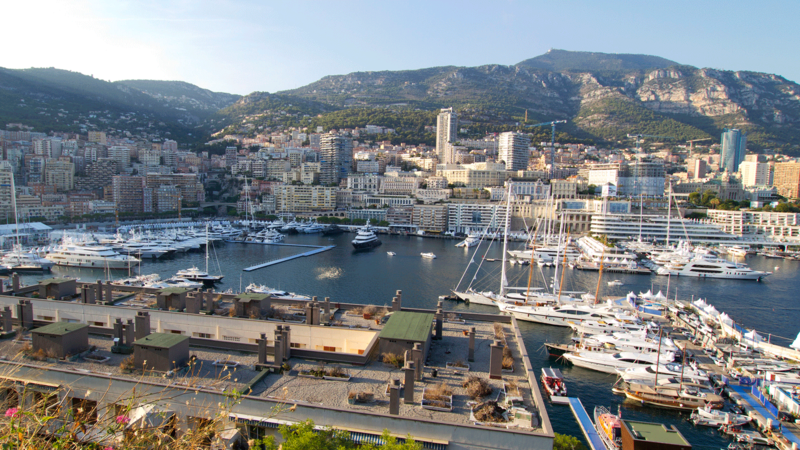 The 47 metre yacht, named Escape, has been in the French Riviera for several weeks after making her European debut at Cannes Yachting Festival earlier this month. She is Gulf Craft’s first displacement superyacht and is packed full of the latest luxuries and amenities. The flagship yacht features one of the ultimate superyacht bonus rooms — a gentleman’s cigar lounge. 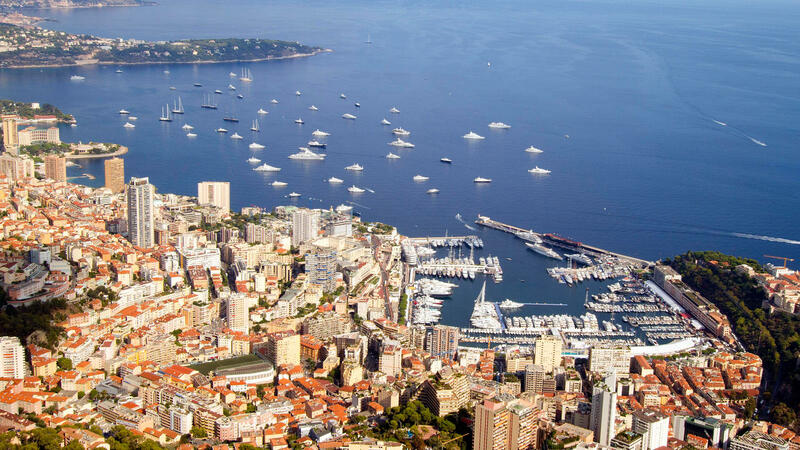 This picture taken on Sunday evening, shows Port Hercules starting to fill up for the Monaco Yacht Show. The empty floating pier shows that there are still plenty of superyachts that are yet to arrive. The show officially starts on Wednesday (September 28) and it is expected to be the biggest ever.